Brides love bright colors these days, and I was asked to create a bridal shower invite for a bride using purple and teal as her signature colors. 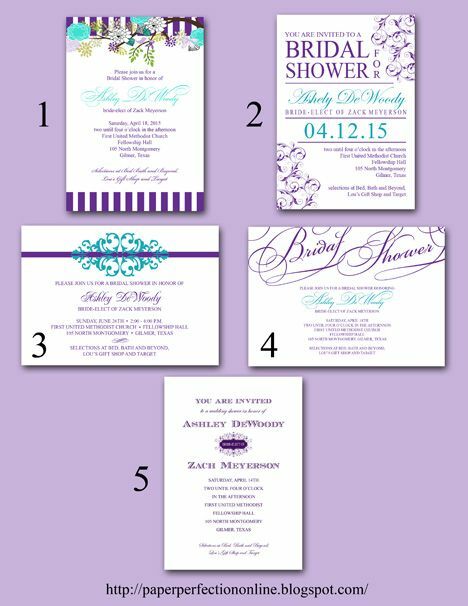 Here are the invitation samples I created with that color palette. If you would like one of these invitations or a custom invite for your next event contact Paper Perfection at jtanddolly@yahoo.com for pricing and details.